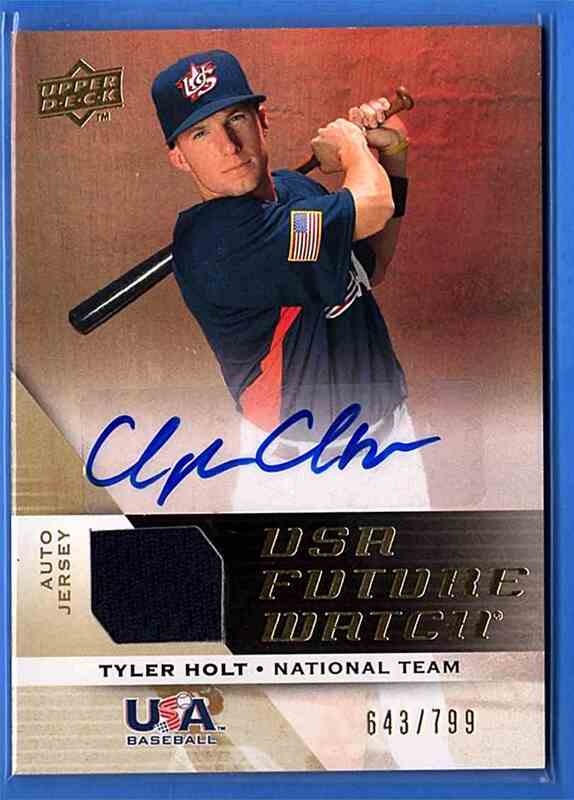 This is a autographed Baseball trading card of Tyler Holt. 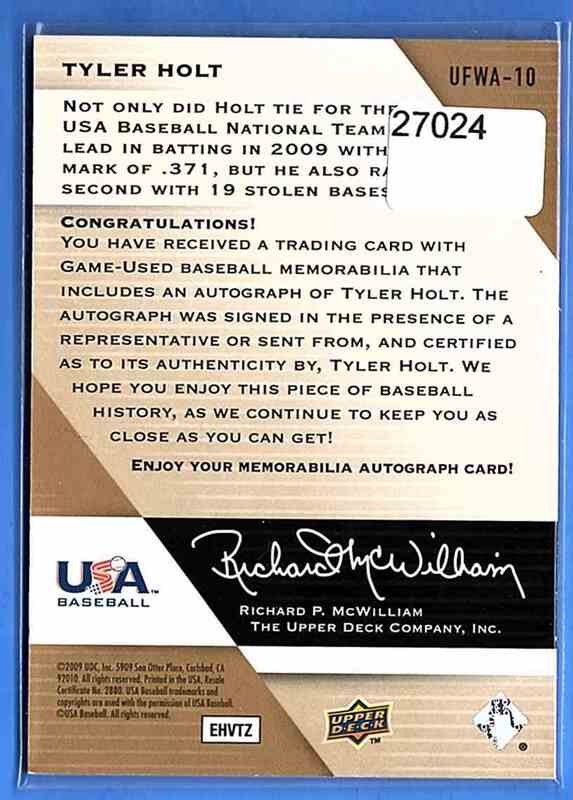 It comes from the 2009 Upper Deck Signature Stars USA National Team Future Watch Jersey Autographs set, card number UFWA10, embedded Jersey 1 Color, serial numbered 643/799. 9304. It is for sale at a price of $ 4.00.